Junior cross country runner Hayley Keady is ready to lead her team after the departure of most of its top runners. The Atlanta native and biology major has been working hard over the summer to return to racing form after an injury kept her sidelined during the indoor and outdoor track seasons. “I’m excited to just feel like a part of the team again,” Keady said. The team mostly works out individually over the summer. Head coach Alan Drosky sets each runner’s workouts to begin in early July, and the runners complete them on their own until school resumes in mid-August. The workouts are unique to each runner based on his or her current capabilities. “[Coach Drosky] gives us a yearly [mileage] number, and each person’s is different,” Keady said. “Each week is the same percentage of work for everyone, and each day is the same percentage as well. Everyone is technically running different miles, but we’re all doing the same percentage of our yearly total. It’s not just ‘run 70 miles per week during the summer’; it changes week to week and builds and decreases during the year. The women’s team lost five of their top seven runners last year due to graduation and needs younger members to make an impact. Keady along with her teammate and close friend Melissa Fairey are the two remaining members of those seven and aim to lead the team on its quest to determine the next five. Seniors Morgan Jackson, Paige Selent and Diana Pressel, plus junior Sarah Bowles and freshman Mary Prouty, are poised to fill that gap, as they comprise the top workout group during practice. This year, Keady says that the team is hoping for a strong performance at both the ACC Championship and the NCAA Regional meets with the possibility of sending a runner to nationals. The women’s team last sent an individual runner to nationals in 1998 when current assistant coach Becky Megesi qualified. The whole team competed in both 2000 and 2001 after strong outings at the NCAA South Regional meets. Personally, Keady is most looking forward to the ACC Championship hosted by Florida State. Besides the end-of-season events, the team is also looking forward to competing against Georgia tonight. However, Keady notes that the rivalry is different when compared to other sports, because so many teams are competing at the same time. Keady will employ the same strategy tonight that she has abided by her whole life. She likes to pace herself, starting out at a moderate pace only to pick up momentum as the race progresses and finish with nothing left in the tank. “It’s the way I’ve always done it, and it seems to work,” Keady said. In fact, Keady used this same method when she was ultimately offered a spot on the team out of high school. Coach Drosky invited her to the team after watching her employ this strategy to finish third at the Georgia State meet. Before that day, Keady’s best finish in a meet was 20th place, and she had no plans to run at the collegiate level. 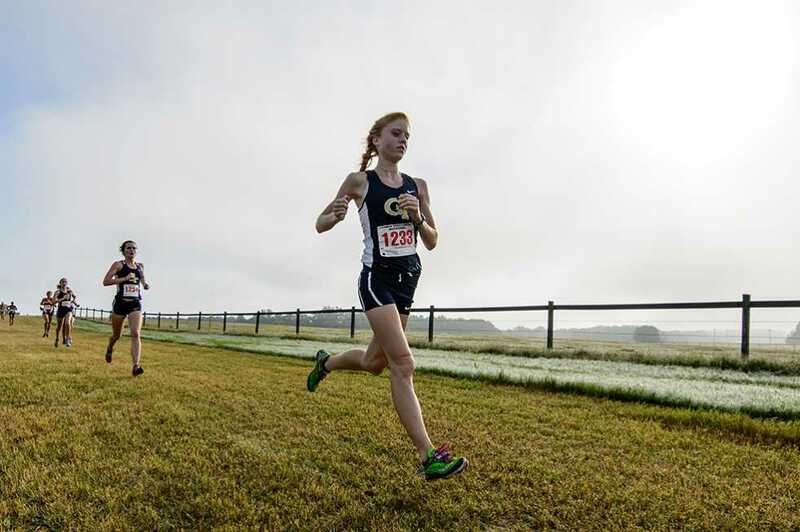 Like most cross country runners, Keady is also a member of both the indoor and outdoor track teams, but she considers cross country to be her favorite of the three sports. She is a highly motivated runner and has been inspired to run by her mother since the beginning. If there is one aspect that Keady would like the student body to know about her team, it is the amount of effort that they put into practice. Both the men’s and women’s seasons begin tonight at the Jacksonville State Opener in Oxford, Ala., against other teams throughout the southeast.